Residents love their libraries. And thanks to the Old Colony Library Network’s (OCLN) Wired to Reach You campaign, residents will be able to share what they love about their network, too. 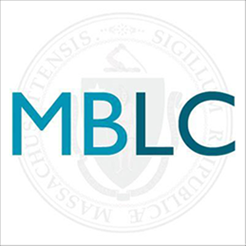 OCLN’s small but mighty four-member legislative committee worked with MBLC staff to develop Wired to Reach You, a campaign that helps residents understand that many of the library services they love are made possible by OCLN. Residents can go to http://links.ocln.org/wired and say what they love about OCLN and their comments will be shared with state legislators. Funding to networks and library technology (state budget line 7000-9506 Library Technology and Resource Sharing) is a priority in the FY2020 Legislative Agenda so the more information legislators have about how much residents value their networks, the better. Especially since technology has a changed a lot in the past twenty years; but what hasn’t changed is state funding to support library technology and library networks. In fact, this funding is 36% lower than it was in 2001. OCLN will launch the campaign during the week of January 14 and it will run for a month. 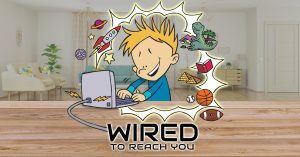 Wired to Reach you materials are available on the MBLC Awarehouse (link). Please contact Celeste Bruno or Matt Perry for more information. I love the Ventress Library in Marshfield. The librarians there are extremely helpful. The library contains a wide variety of books, magazines, and other materials. The library is a convenient and pleasant place to have ESL classes. The children’s room is accomodating and entertaining. The brand new teen space is welcoming and already well used. The resource librarian is ever ready to help. The ever-timely and changing displays are inviting. I am 75 and have been going to libraries everywhere I’ve lived since my mother started taking me to the children’s section to pick out picture books when I was 4 or 5 years old. I know many people who depend on Rockland Memorial Library, not just for books, but for the computers , video, and audio disks and other resources. I can’t say enough about how helpful and professional the staff in Rockland is .